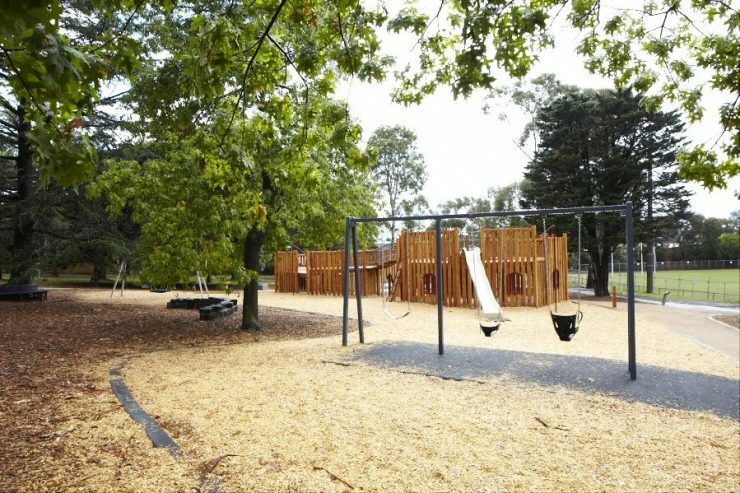 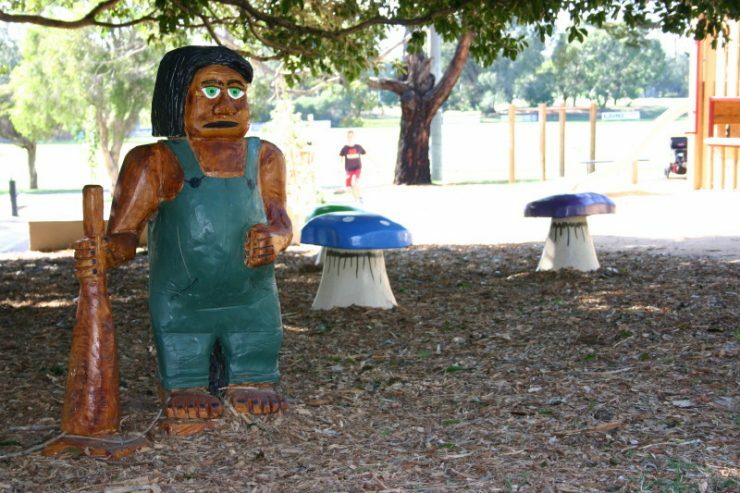 Highett Reserve has a footy oval and pavillion, and the western end has historic plantations of mature mixed exotic and native trees. 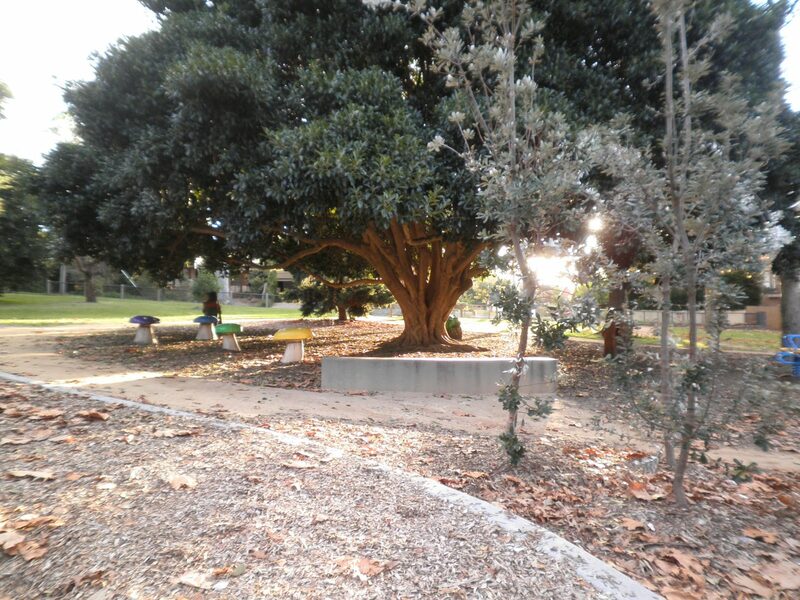 The playground is located within this grove, close to a magnificent fig tree. These trees inspired the fantasy castle theme for the playspace. 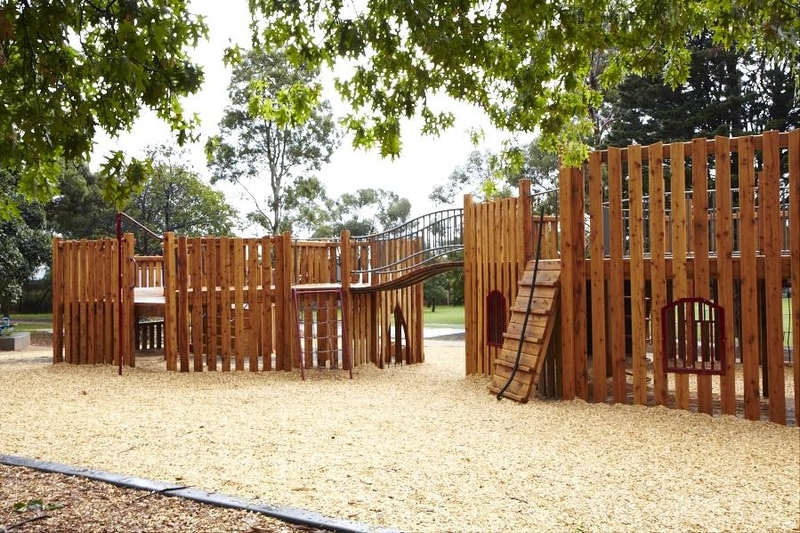 Two timber forts form the focal point of the design, providing for active and role playing games for all ages and abilities. 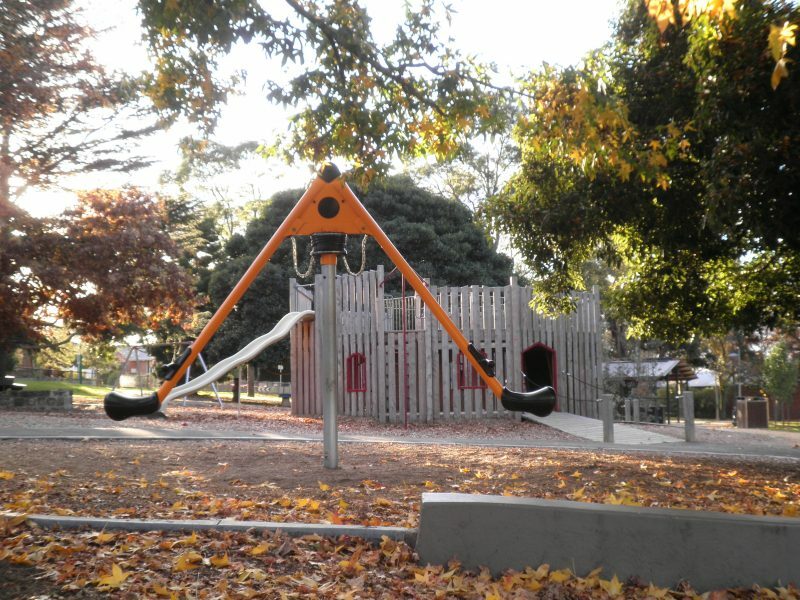 Other activities in the space includes a half basketball court, swings, monkey bars and see saw. 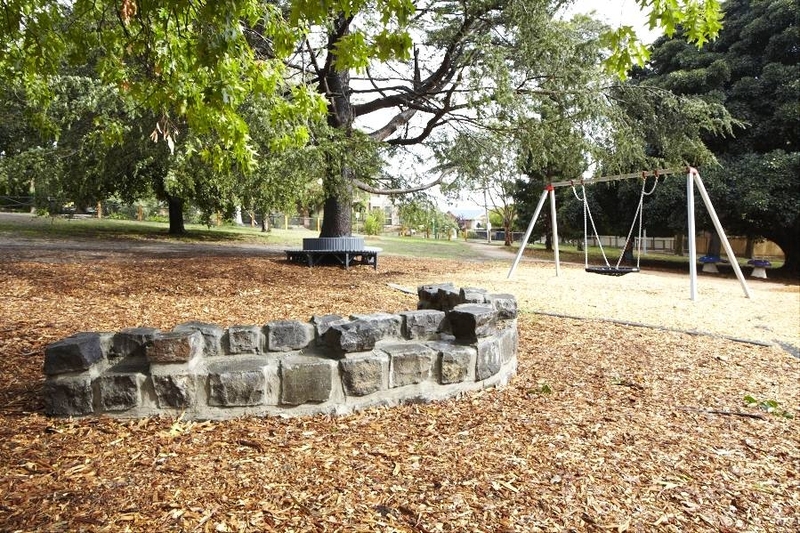 The ‘waltz’ spinner is a particular favourite, providing plenty of excitement for children and adults alike. 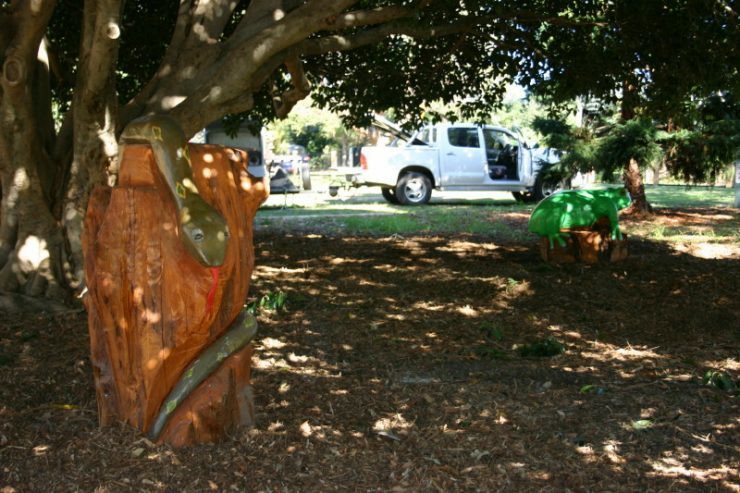 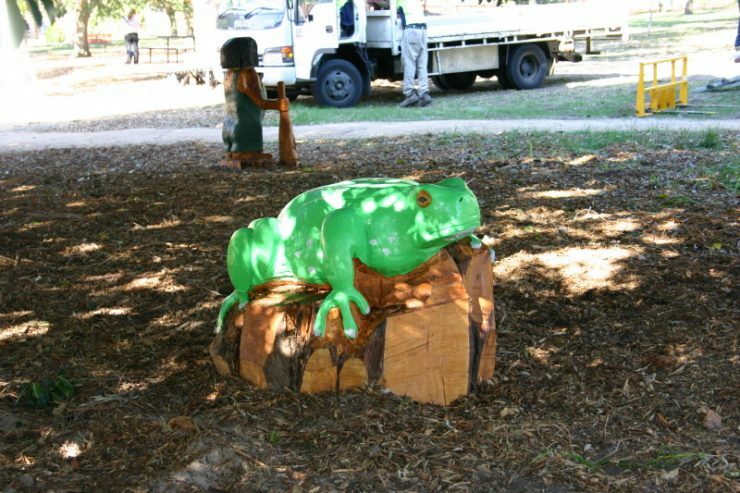 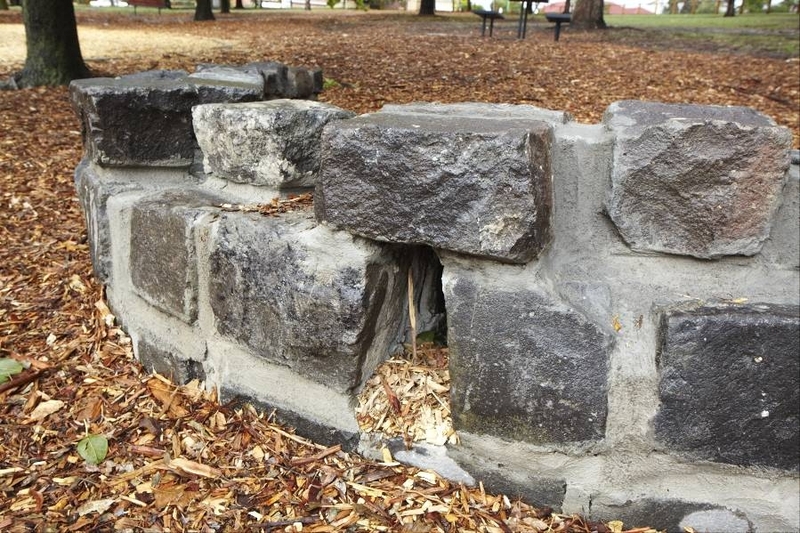 Sculptures are located under the existing fig tree providing other social play opportunities. 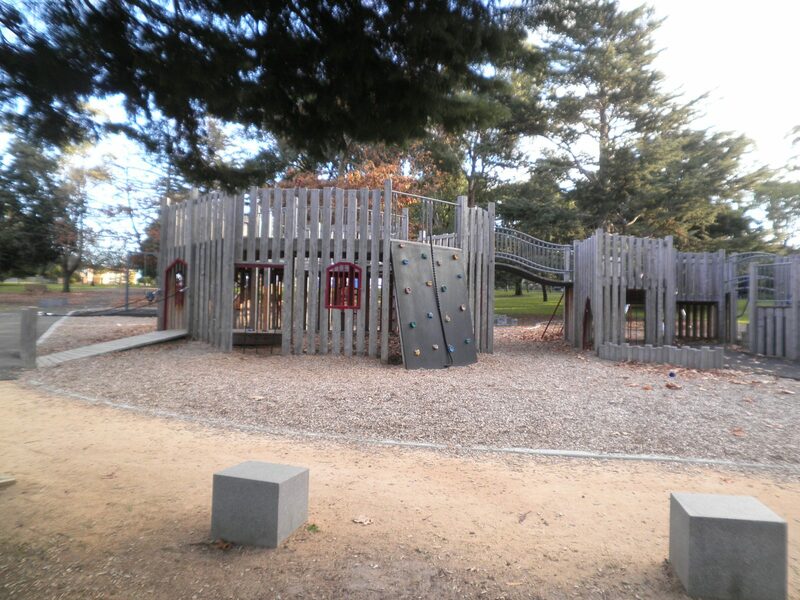 A picnic shelter with barbecue facilities is located nearby the playground. 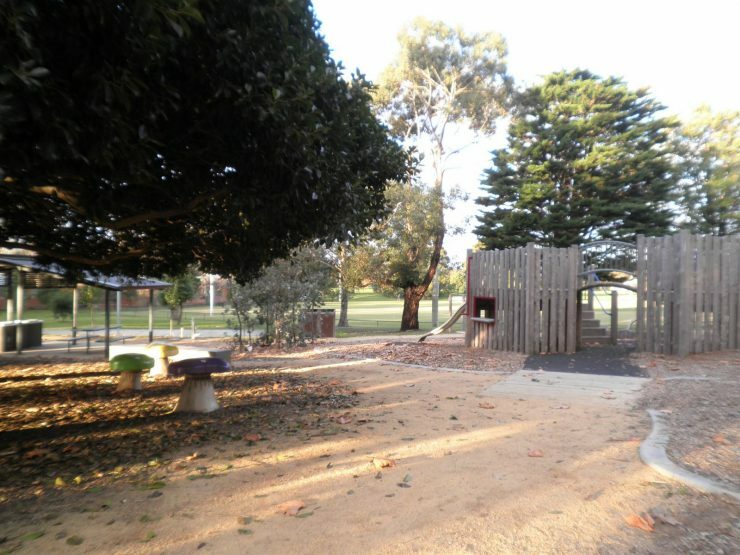 Additional picnic tables are also located in the reserve allowing family groups to play and have a picnic while enjoying the local footy game. 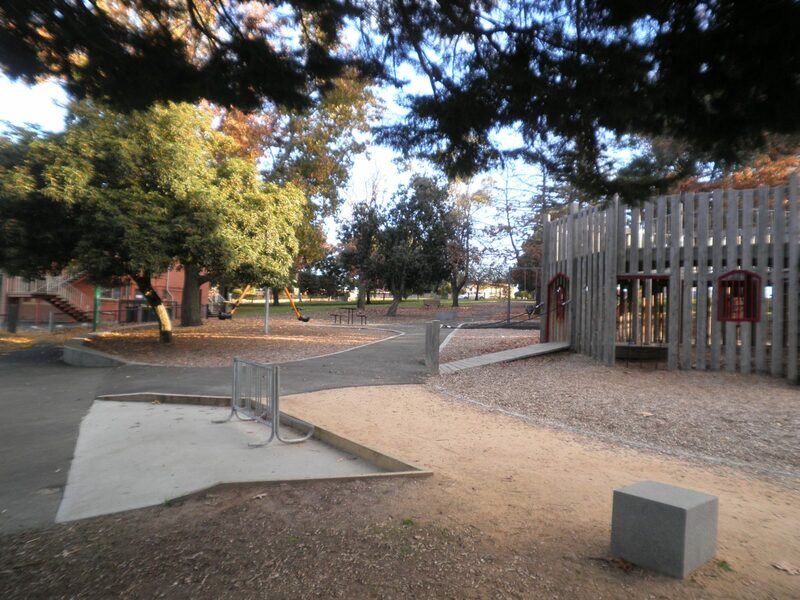 The transformation of this play space has reinvigorated this site, which is now well used throughout the week.